Our signature Peanut Butter & Pumpkin recipe arrives using only the finest organic ingredients! 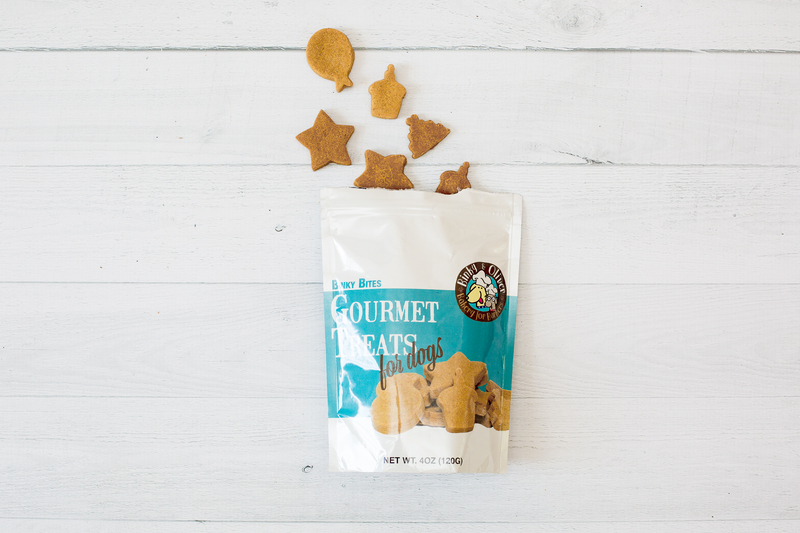 Our dog treats are hand made and baked in small batches in the USA using only top quality organic ingredients free of harmful preservatives, artificial flavours, colours, wheat, soy and corn! Our assorted shapes sniffed out and taste tested by Binky himself!